Does the Internet encourage innovation in other sectors? How much does it really contribute to Europe's economy? Does it create new jobs, or just displace existing ones? These are just some of the questions we will be debating on February 20th at our Brussels Big Tent event, held in association with the Irish Presidency. Richard Bruton, Irish Minister for Jobs, Enterprise and Innovation will open the Brussels event. Taylor Reynolds of the OECD will debate the opportunities for economic growth online with Anthony D, Williams, co-author of Wikinomics and Jeff Lynn, Chairman of Coadec. Professor John Van Reenen from the London School of Economics and Kathryn Parsons, co-founder of Decoded will discuss whether the internet can help solve unemployment in Europe and how productivity gains from technology adoption can drive growth across all sectors of the economy. 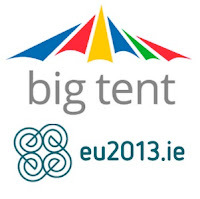 Innovation Commissioner Maire Geoghegan-Quinn will close the event. 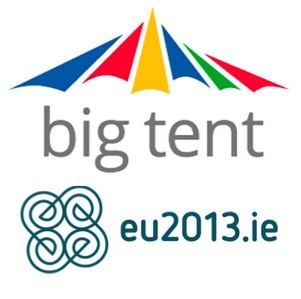 The Big Tent event series brings together speakers with diverse points of view to debate some of today’s hot topics around the internet, the economy and society. We hope you can join us in Brussels on 20th February - please check out the programme and register to attend by 18th February.